The Smart Card Alliance announced the formation of the EMV Migration Forum, an industry association whose goal will be to facilitate the move from magnetic stripes to EMV contact and contactless technology in the United States. The EMV Migration Forum will cover a number of industry related topics including consumer awareness related to EMV adoption, the dispersal of topical educational materials, possible payment infrastructures and reporting the progress of EMV adoption as it happens. EMV card technology has been in use throughout the world largely due to the increased security. By replacing the traditional magnetic stripe with chip technology, EMV cards cut down on the many causes of card fraud including counterfeits and lost or stolen cards. EMV chip technology also enables global use of the card, supporting not only contact and contactless methods of payment but also mobile and remote payment methods. 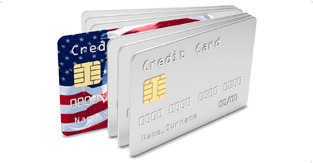 American Express, Discover, MasterCard and Visa have all announced intentions to shift to EMV-based payments in the U.S. with first steps planned for 2013. Another issue on the table is the managing of fraud risk- a topic set to see major changes by 2015. The newly formed EMV Migration Forum will hold its first meeting on Sept. 12-13 at MasterCard headquarters in Purchase, N.Y. to discuss the direction for the organization and to kick off the first of its committee projects. Additional information about the EMV Migration Forum, membership and its mission can be found here.